Studying abroad is a costly affair. Students who go abroad for studies face high expenses on many fronts. Unfavourable foreign exchange rates, high university fees, steep rent and the exorbitant cost of living are some of the few to name. In such a costly environment, you must not allow your spendings to spiral out of control and beyond your means. In this blog post, we’ll discuss how to save money while studying abroad. Sometimes, saving money alone might not be enough to keep up with your expenses overseas. Hence, we’ll also talk about how to make money while studying abroad. When you are studying abroad, you may stay there for 1 to 2 years minimum and thus you’d need a bank account abroad. A bank account is a basic necessity of life wherever you are living. It’ll be useful for receiving funds from India for paying university fee and maintenance expenses. You’ll receive a credit/debit card which will be useful for you abroad as most developed countries accept card payments almost everywhere. Your Indian credit/debit card will prove too costly for you as you’d have to convert the currency in the card to local currency and also pay for ATM usage abroad. Also, if you are looking to work part-time, a bank account abroad can be given to your employer for direct credit of salary. UK – How to open a bank account in UK for international students? Australia – How to open a bank account in Australia for international students? Often students going to study outside India don’t realize how expensive textbooks are abroad. 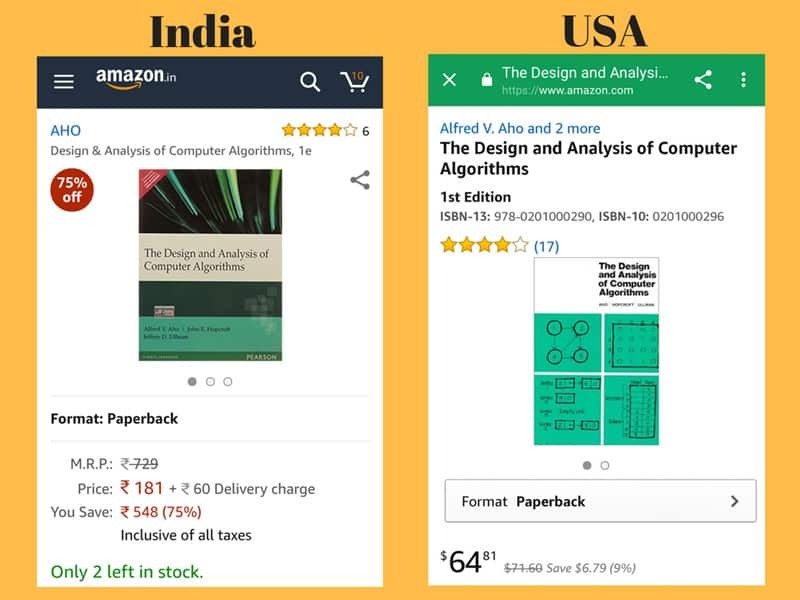 Here is a comparison of the same textbook when bought from amazon.in (India) and amazon.com (US). USA – Design and Analysis of Computer Algorithms Roughly US $65 = Rs 4230! As you can see, compared to India, buying textbooks abroad is an expensive affair. Instead, what you can do is buy textbooks second-hand when you go to university or see if you can find them online. If you are the kind of person who doesn’t mind digital copies of textbooks, you can invest in an Amazon Kindle. Buy the Amazon Kindle versions of the necessary textbooks for your study abroad course at a cheap price in India and save money. Also, carrying your Kindle rather than a bag full of heavy books will make your flight experience lighter and more enjoyable. One of the first things you should do before going abroad is to buy f the foreign currency of the country you are going to. You will need the currency to buy things and pay for services in that country. If are buying foreign exchange in the last moment at the airport, it’s going to be costly. Airport currency exchange counters give the worst exchange rates and charge high service fees. Also, things may not move according to your plan. There might be a long line at the currency exchange counter or banks might be closed. It’s better to be safe and buy forex beforehand. 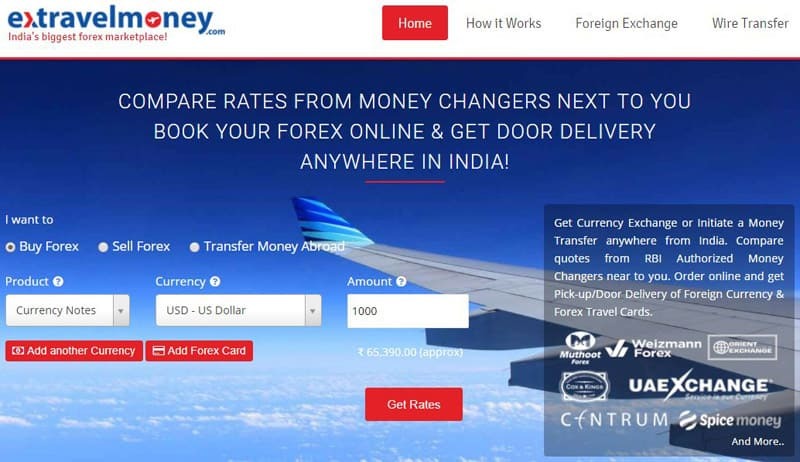 ExTravelMoney helps you buy foreign exchange online after comparing the exchange rates and service fees of banks and money changers in your location. Buy forex online at the best rates in town! Learning to make a budget and sticking to it would be one of the most important skills you’ll need to master when studying abroad. You must be thinking, “of course we need to plan our budget duh!” but don’t skip this portion so fast. You need to get an idea of what expenses a budget would include. You should take stock of the monthly cost of rent, food, internet, gas, electricity, water, phone, transportation, household items (Soap, paste, detergent etc) and entertainment (going out for dinner, movies etc). Save a fixed amount in your personal piggy bank for emergency expenses. If you don’t keep a watch on how you are spending money, you could find yourself short at the end of the month. 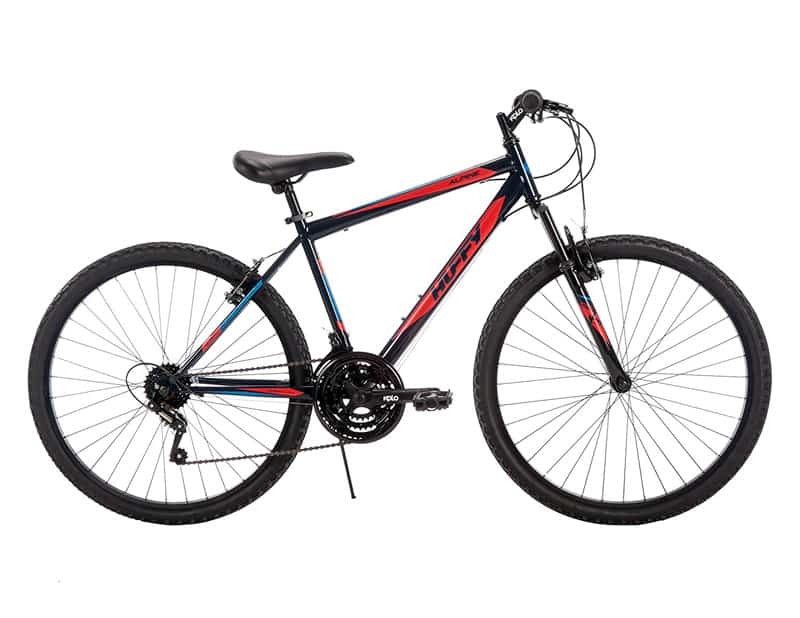 A good gear bicycle can be bought abroad for as low as US$ 100 or roughly Rs 6500! ( FYI : That’s the starting price point in India for decent single speed bicycles). The investment on a bicycle will literally pay for itself with its use. Cab rides cost a lot and while public transportation is cheap, riding a bicycle is free! Don’t let lack of funds get in the way of visiting the city centre or going to the supermarket a bit far away. When you are stuck within the four walls of your room, a quick bicycle ride, exploring the streets outside will save you from the gloom and also keep you healthy and fit. When you are studying abroad, eating out from restaurants would make your money run out faster than Inzamam-Ul-Haq. Cooking can save you a lot of money and also enable you to learn the necessary life skill of making food for yourself. Take the time to talk to local students and find the best supermarket or farmer’s market in town to do your shopping. Save time by preparing meals in the bulk and freeze them for re-heating and consuming later. When moving to a new place, especially a country abroad, lack of knowledge regarding how the public transportation works there, may overwhelm you. As a result, you might end up taking the easy way out by travelling via taxi and overpaying for your transportation needs. One of the first things you ought to when going abroad is to learn how the public transportation system works there. This will impact your overall budget in a positive way. Surf the subways and bus networks available in your city and make your transportation costs economical. Save tons of money by taking advantage of the discounts. 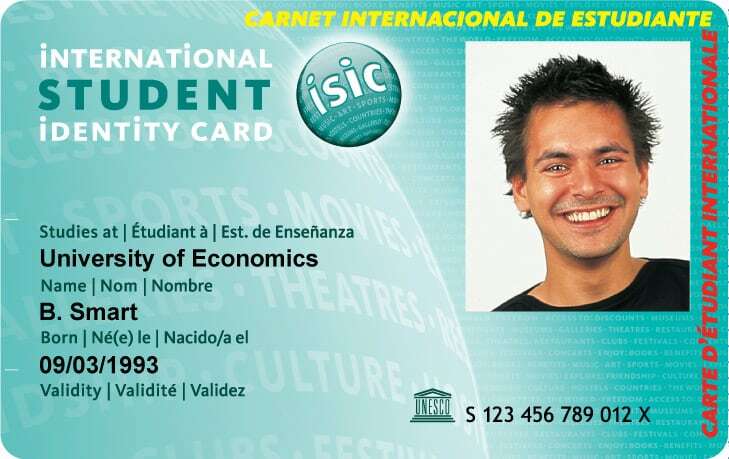 For example, if you are going to Paris or Rome, most of the museums and attractions there are completely free for ISIC card holders! When you go to study in a foreign land, calling family and friends back home would be indeed reassuring. However, even if you have a local sim-card, international calls would still make a huge dent in your wallet. If you can, make use of apps like Whatsapp, Skype, Viber, or Google Voice. A local sim-card will keep your local calls there cheap and these apps will keep your international call costs nil! 10. Avoid overpriced clubs, instead, go out the smart way! Going out clubbing and getting high on booze may be tantalizing for some. However, if you want to get a grip on your finances, we say get high on life and not on booze! Do a research on free entry days in the local museum in your city, open-air movie events, street festivals, free theatre and cultural events. Get your dose of the local culture without spending much. If you still want to go clubbing and have a beer or two, worry not. 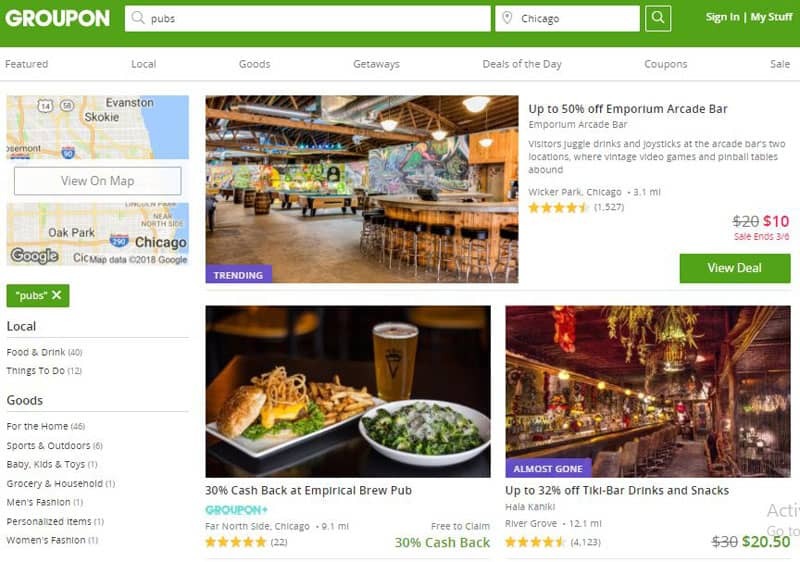 Look for deals in Groupon, LivingSocial or in local versions of these websites. You’d be typically able to find food from good restaurants at half the price and drinks from clubs at cheap rates. Even though night outs are sinkholes where money disappears, you can reduce expenses by going out the smart way. Have fun during weekends without wiping out your bank account! While travelling for pleasure is not going to be on top of the “to do list”, you might end up going on one anyway. Let’s not kid ourselves, we are looking forward to exploring a new foreign country! So how can you go on the occasional trip without burning a hole in your pocket? 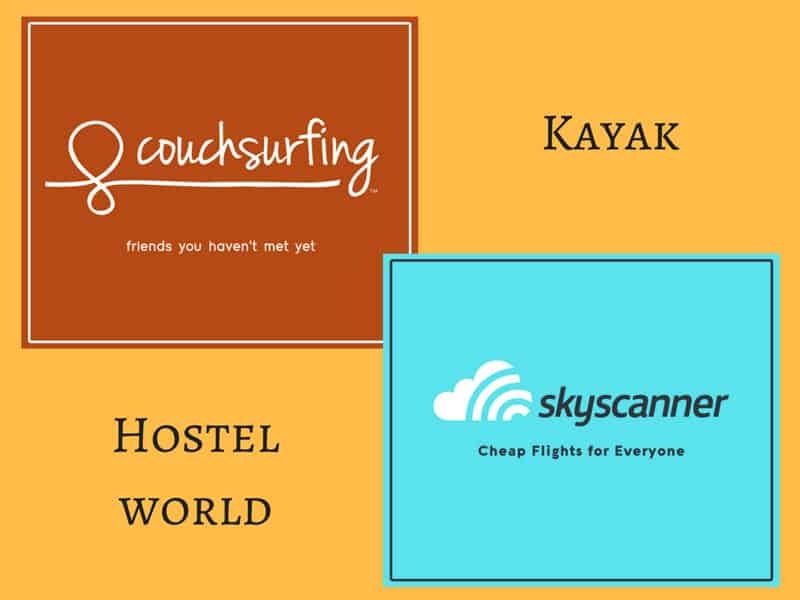 Avoid hotels and instead, search for low cost and good hostels through Hostelworld. Hostels are cheap, provide important facilities like a bed, locker, shower and breakfast without making it a fancy affair. Better yet, Couchsurf! Find people during your travels who are ready to host you in their home for free! Make use of Skyscanner and Kayak to get low-cost air tickets for your journey. We have written more about scholarships for Indian students going to study abroad in this blog post. Merely saving money may sometimes not be enough to manage your expenses abroad. If you are struggling to keep up with expenses and would like to earn extra money, then consider working part-time. So how to earn money while studying abroad? Let’s discuss the ways in which international students can make money by working part-time. Part-time teaching is a really good way to earn money. You don’t need to make a lot of effort as you just have to impart the knowledge you already possess. At the same time, you get to polish your academic skills. If you are in a country where English is not their first language you can make money easily by becoming an English teacher. 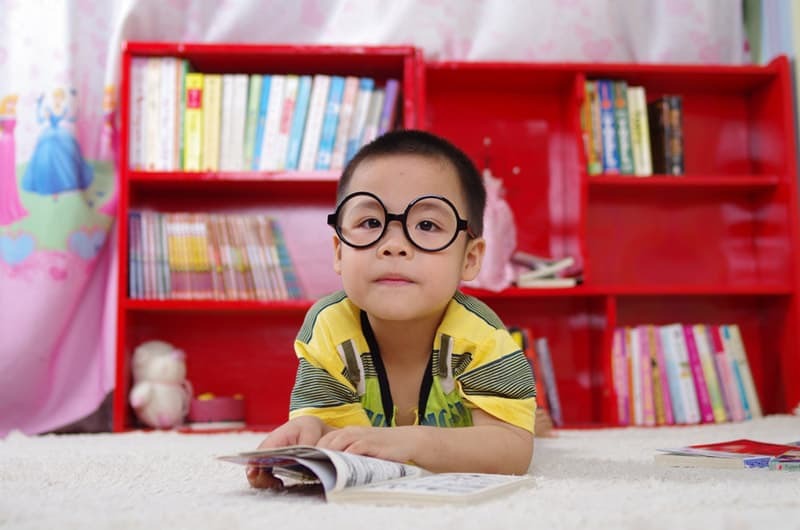 Part-time tutoring can also be done online from the comfort of your room. Tutor.com and Skooli.com are two such websites where you can sign up as a tutor. Service jobs as a part-time venture are available throughout the season. They are easy to find and almost anyone can apply for them. Popular service based jobs are gas station attendant, where you just need to know to fill up tanks in vehicles and serving tables in your local McDonald’s or KFC. If you have a smile that just brightens up other people’s day then you can be a professional greeter. A greeter is a person who is employed by an establishment to smile and greet customers. Don’t find it comfortable to work by going out every day? No problem. Freelance from the comfort of your home. Create an account on various freelancing websites like freelancer.com, upwork.com, fiverr.com, list your skills, apply for projects and just sit back and wait. If you are a content writer or graphic designer, upload samples of your work in your Linkedin profile. Linkedin is now one of the best websites in 2018 for inbound enquiry from customers. Sometimes you may not have to look far for a part-time job. Many universities have on-campus jobs which may not pay much but would be pretty easy to do and give you time to study on the side. You could apply for an assistantship in teaching or research, which will not only bring in some much-needed money but will also provide you with a good experience and boost up your CV. Other on-campus jobs you could try for are Library attendant, Administrative assistant, and System administrator. Taking up part-time work in a country abroad will be a global experience and a bit of extra money will keep hunger at bay for a little longer! If you enjoyed reading this post and found it informative click below to share with your friends. « What Is The Best Way To Send Money To India For NRIs?